"Ah! 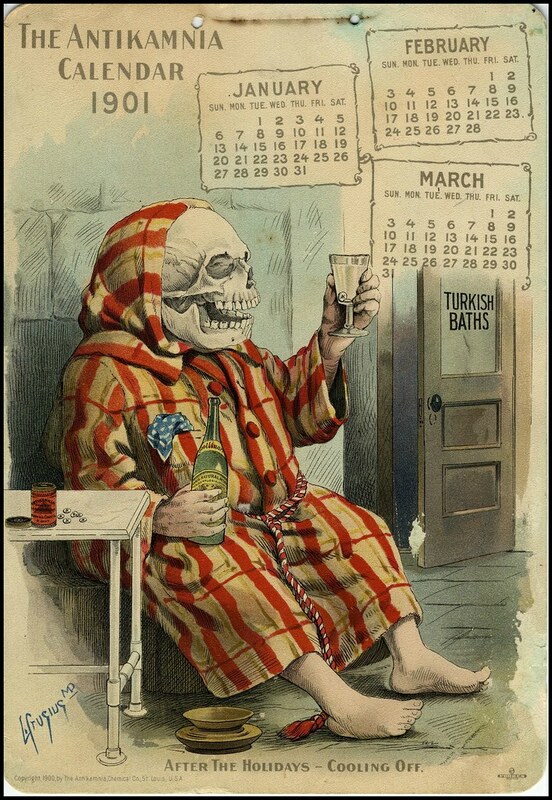 you may laugh, my boy; but it's no joke being funny with the influenza!" 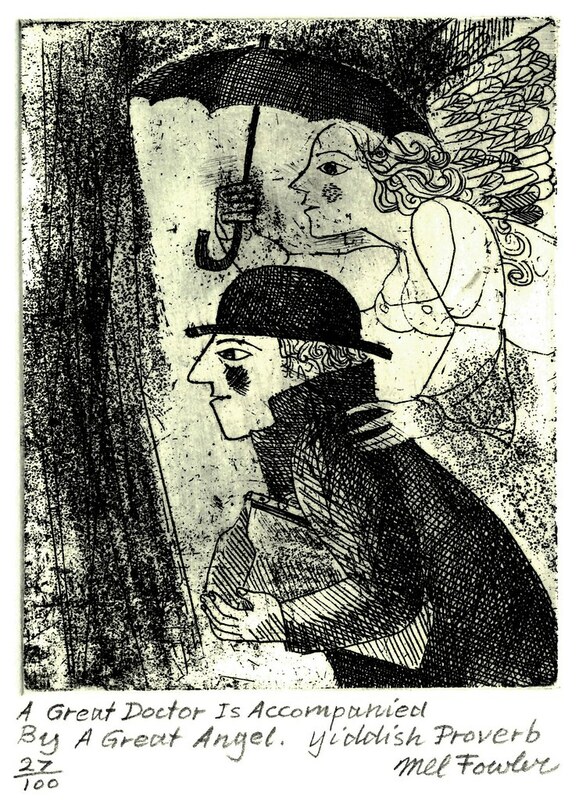 This print is recorded as anonymous at the source site, but I think the "JL" bottom left of the sketch (as well as the general illustration style) matches up well to the English caricaturist, John Leech, from the mid-1850s. ::: Beareth Sable, an Urinal proper, between 12 Quack-Heads of the second & 12 Cane Heads Or, Consultant. On a Chief Nebuloe, Ermine One Compleat Doctor issuant, checkie sustaining in his Right Hand a Baton of the second. On his Dexter and sinister sides two Demi-Doctors, issuant of the second, & two Cane-Heads issuant of the third; The first having One Eye conchant, towards the Dexter Side of the Esocheon; the Second Faced per pale proper & Gules, Guardent. 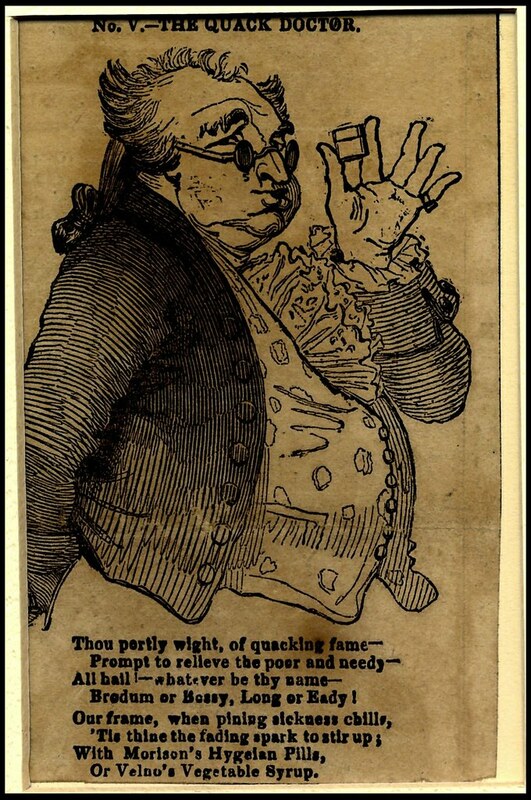 "[This is] Hogarth's delightful commentary upon the medical profession. Represented within a satirical coat-of-arms the engraving is bordered in black, like a mourning card. 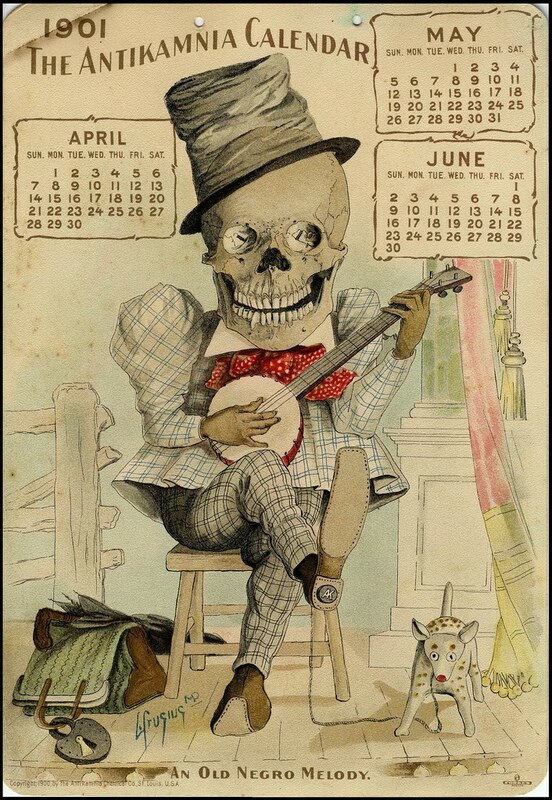 Beneath it are a pair of ominous crossbones and the motto, "Et Plurima mortis imago" -- 'And many an image of death'. The three major doctors inhabiting the upper portion of the coat-of-arms were based upon actual practitioners. 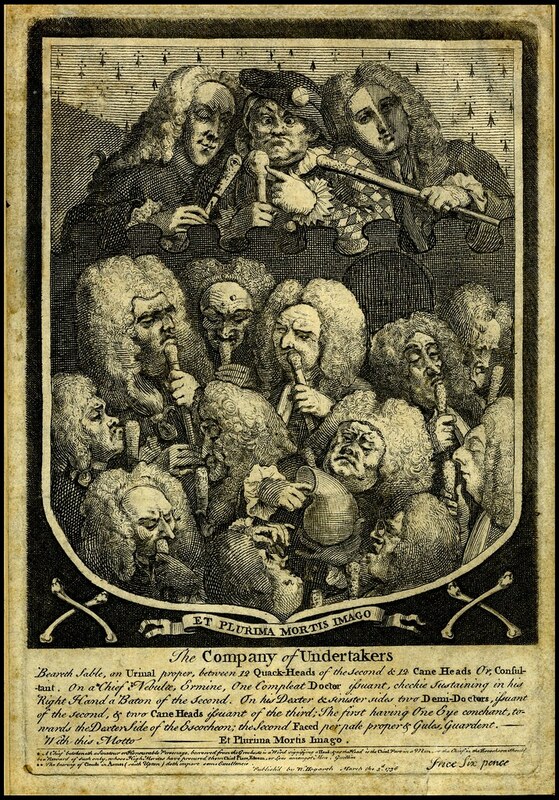 In the centre of this trio is a figure dressed in a clown's suit which Hogarth refers to as "One Compleat Doctor". This figure was actually a woman named Sarah Mapp, a well known bone-setter. To her left is a feminine faced physician meant to portray Joshua Ward ('Spot Ward'), a doctor who had a birth-mark covering one side of his face. To her right, resides John Taylor, a well known oculist of the day. Taylor, it is reported, had only one eye. These physicians apparently lack the skills to heal themselves. 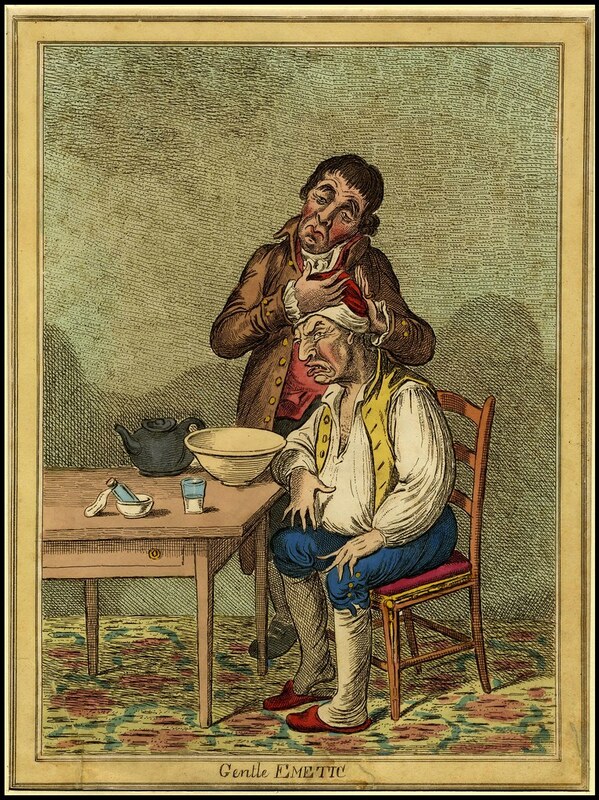 Incidentally, a (much crisper/clearer) copy of this print was reissued later minus the text below the illustration, but bearing the title, 'Consultation of Physicians'. 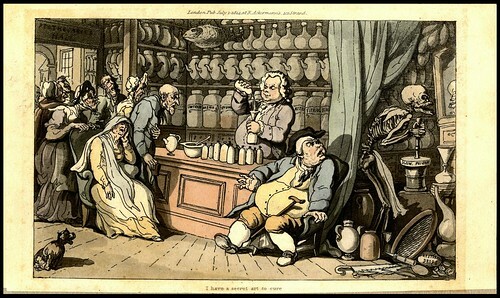 ***See: The Antikamnia Chemical Company post on BibliOdyssey for many more related images and background. A man is taking a draft of Copaiba medicine for his cough. 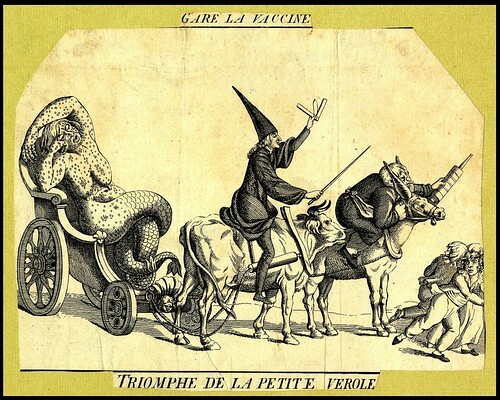 The 'Galerie Physionomique' was a series of 25 lithographs that appeared in 'Le Charivari' between Nov. 1836 and Dec. 1837. 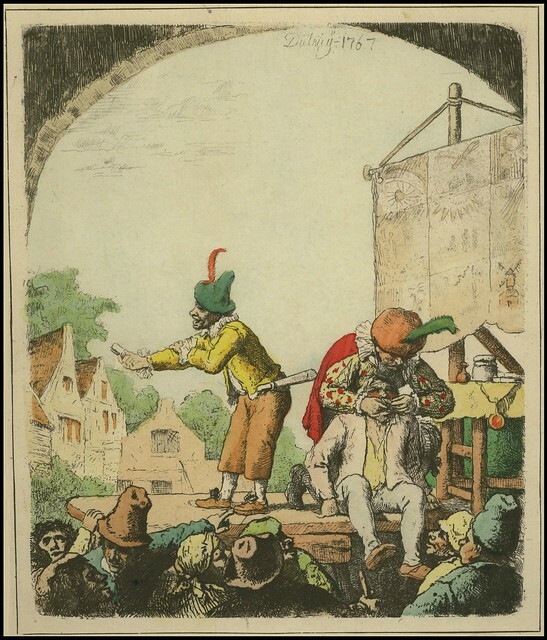 Thomas Rowlandson's illustration from 1815 first appeared in the classic 2-vol. 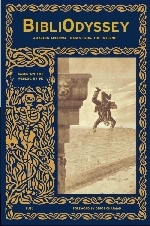 publication, 'The English Dance of Death'. 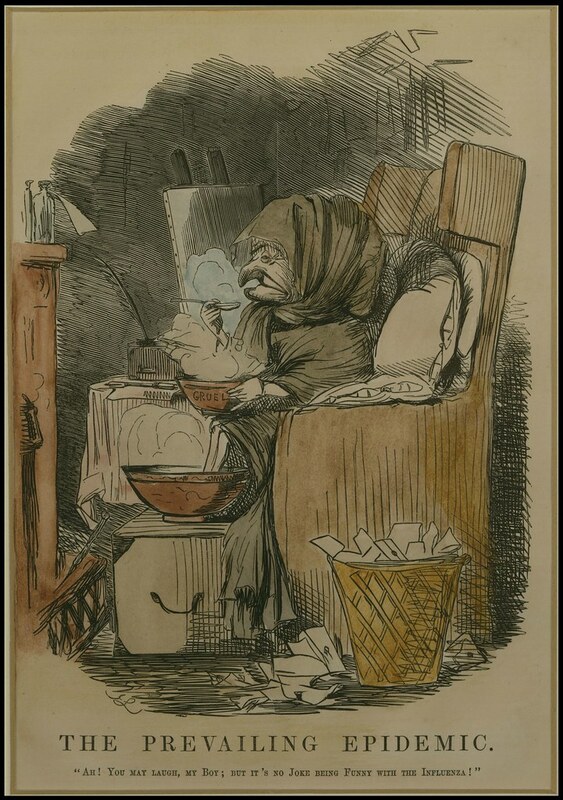 Vaccination had become quite widespread in France and England by the beginning of the 19th century and was energetically attacked by fearmongers in satirical pamphlets showing victims acquiring vaccine-host-animal qualities, for instance. 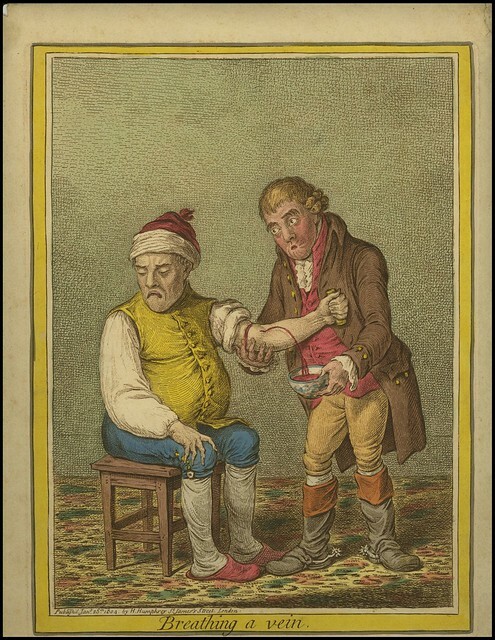 "Bloodletting, or phlebotomy, had been a standard medical practice since antiquity. It entailed withdrawing a considerable amount of blood from a person in order to cure disease. Blood was thought to build up in excess and then stagnate in certain areas of the body. Removing the extra blood would restore the natural balance of the body. 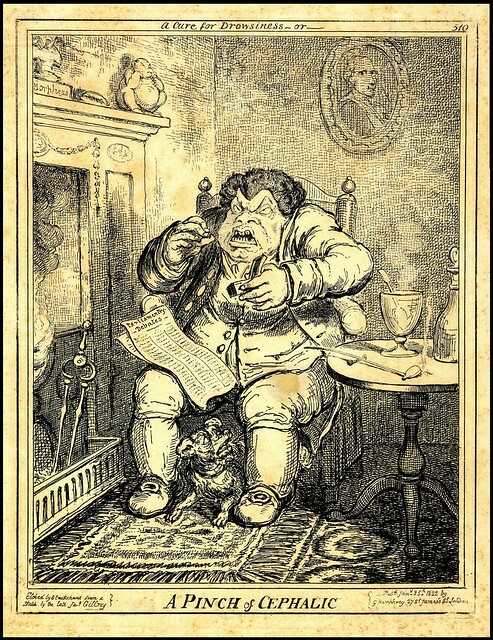 A gouty old John Bull, seated with his brandy, water and pipe, takes a pinch of snuff. 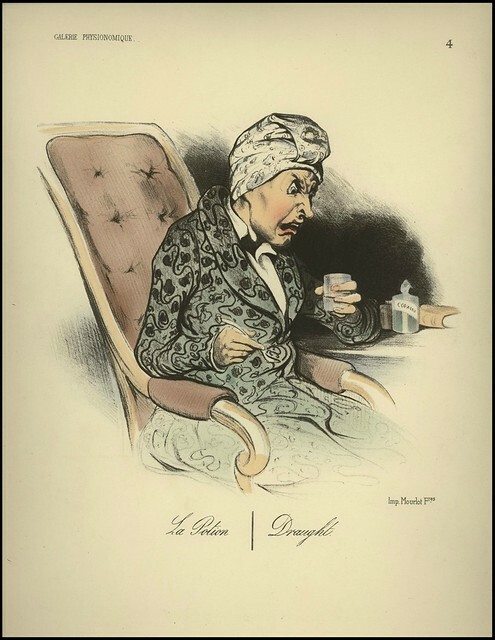 Waring Historical Library at the Medical University of South Carolina offers up a collection of medical caricatures through the collaborative Lowcountry Digital Library. All the images above were spliced together from screen shots. 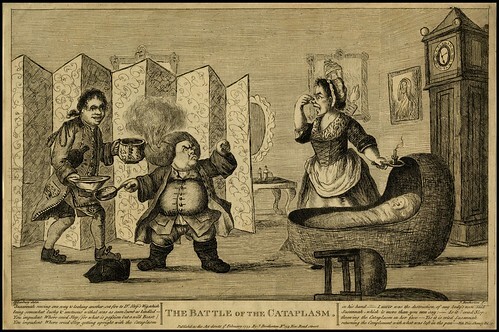 Amazon: Thomas Rowlandson - George Cruikshank - James Gillray - William Hogarth.